By design, heat pumps are a quiet, customizable choice for your home. Bad weather can try to sneak up on you during any time of the year but a well-functioning heat pump can easily meet the challenge. Being proactive can save you precious time and money in the long run. Sticking to a regular maintenance schedule can prolong the life of your heat pump system and prevent costly emergency repairs. If you notice any of the warning signs, don’t put it off. Reach out to W.G. Speeks immediately. 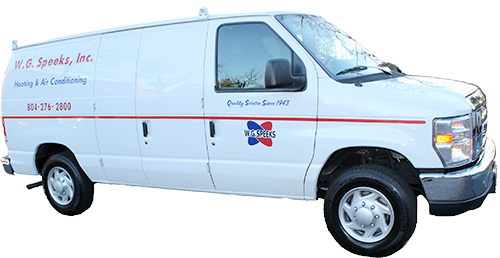 Our team of experts has been providing heat pump service, repair and installation services to the Greater Richmond Area since 1943. Call today for a free consultation and estimate!